April 1924. 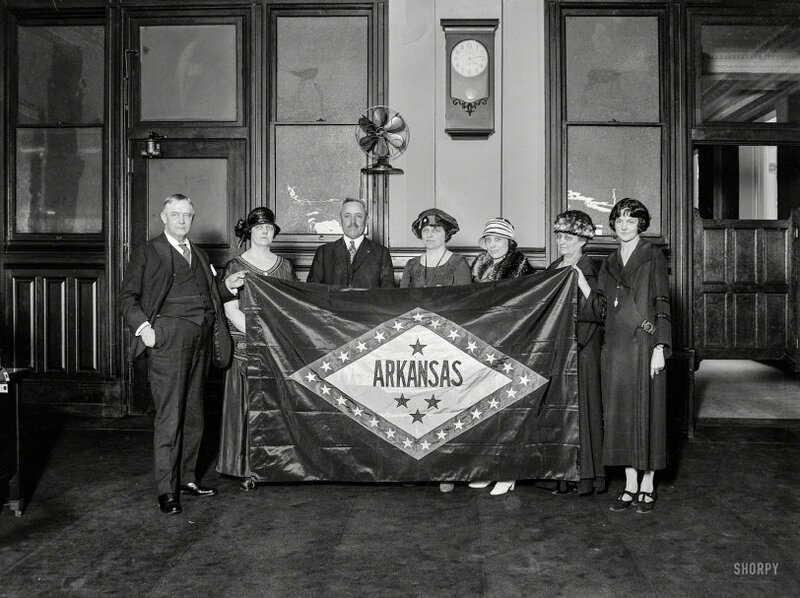 Washington, D.C. "Group holding Arkansas state flag." Regnat populus! Harris & Ewing Collection glass negative. View full size. Submitted by Vexman on Mon, 06/16/2014 - 6:10pm. This is one of a number of photos taken in 1924 at the Old Post Office in Washington, DC. They were having an exhibit of State flags which were presented by each State. I believe the fellow on the left is Postmaster General Harry Stewart New, who had been a US Senator from Indiana until 1923, when President Harding made the appointment.